For outdoor recreation and activities, Bellavita at Green Tee residents have many choices. The outdoor pool and spa is the perfect place to relax and enjoy the Texas sun. Golf enthusiasts can take advantage of the nine-hole putting green. Residents can also enjoy the beautiful eleven-acre lake and winding trails throughout the community. The surrounding area offers easy access to shopping, dining and entertainment. There are also places of worship located nearby. 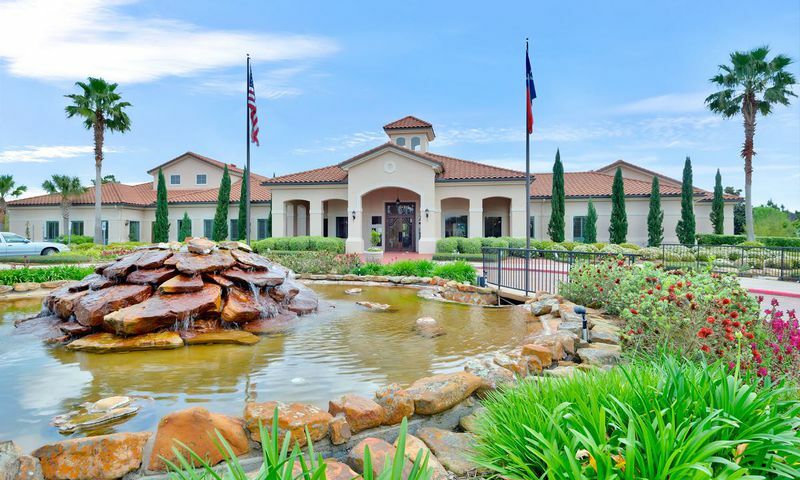 Bellavita at Green Tee offers the perfect location that is close to all of your daily needs yet set back away from the hustle and bustle in Pearland, TX. Club Bellavita - 14,000 Sq. Ft. There are plenty of activities available in Bellavita at Green Tee. Here is a sample of some of the clubs, activities and classes offered here. Lennar Homes and K. Hovnanian built beautiful single-family homes that offer several different floor plans to suit the needs of todays active adult. Most homes range in size from 1,500 to over 2,400 square feet and feature two to three bedrooms and a garage. Bellavita at Green Tee has the ideal choice of homes at the perfect value. A reasonable homeowners' association fee allows residents to spend more time doing the things they want. This fee includes lawn service, cable, alarm system monitoring and access to all of the amenities that Bellavita at Green Tee has to offer. Please Note: Floor plans are not available at this time. Bellavita is a great neighborhood for us. We have two dogs in our family so having a gated backyard was a must. Lots of these active adult communities don't allow fences so we were pleased to find this community where we could have the fence, have a nice home and all the great amenities. 55places.com is not affiliated with the developer(s) or homeowners association of Bellavita at Green Tee. The information you submit is distributed to a 55places.com Partner Agent, who is a licensed real estate agent. The information regarding Bellavita at Green Tee has not been verified or approved by the developer or homeowners association. Please verify all information prior to purchasing. 55places.com is not responsible for any errors regarding the information displayed on this website.